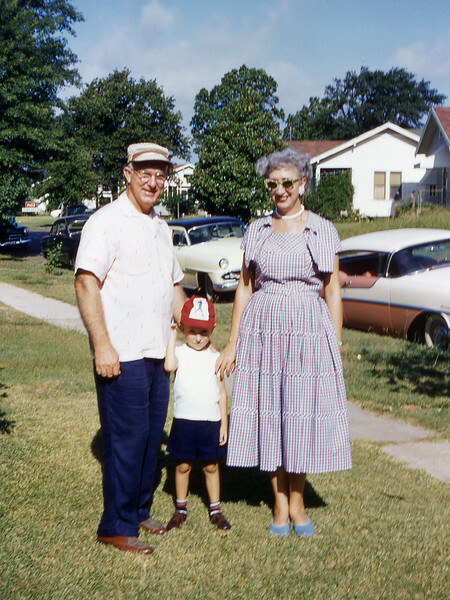 [BP] June '56, Shreveport, in front of Mrs Dordan's. I'm on my way to Newfoundland. Just before we leave on the trip. 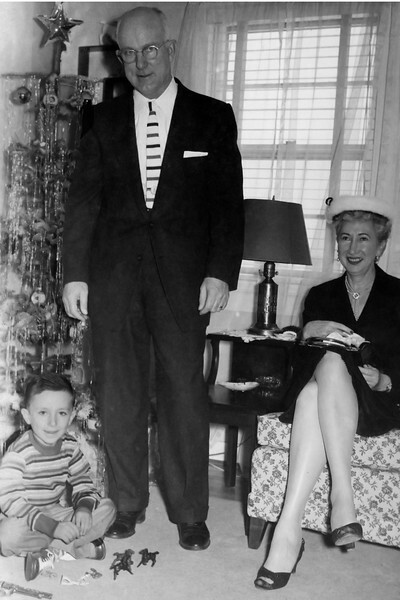 [BP] June '56, Selma AL, at the Putnam's. 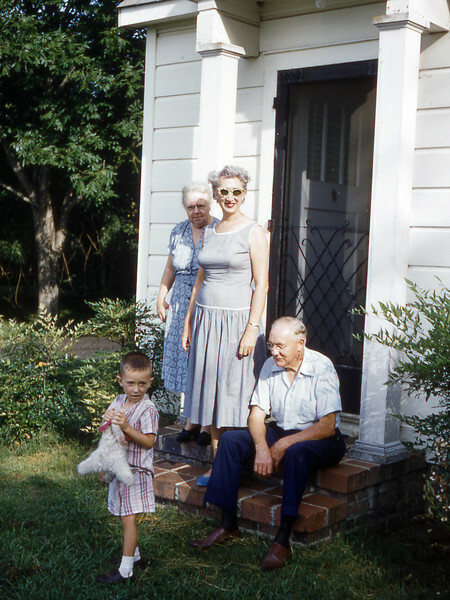 Grace and Randy pose with Charles and Lydia on their front steps. 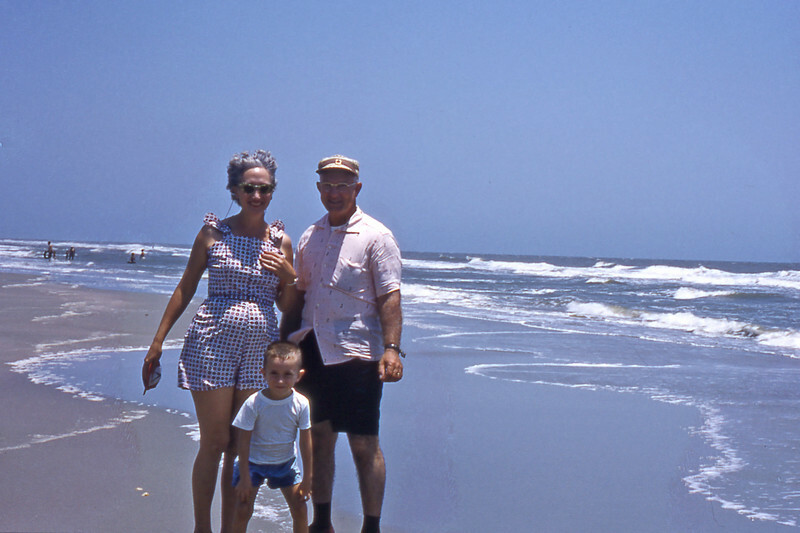 [BP] June '56, on the beach in Charleston South Carolina. [RP] Friends Med and Guich lived in Charleston at the time. 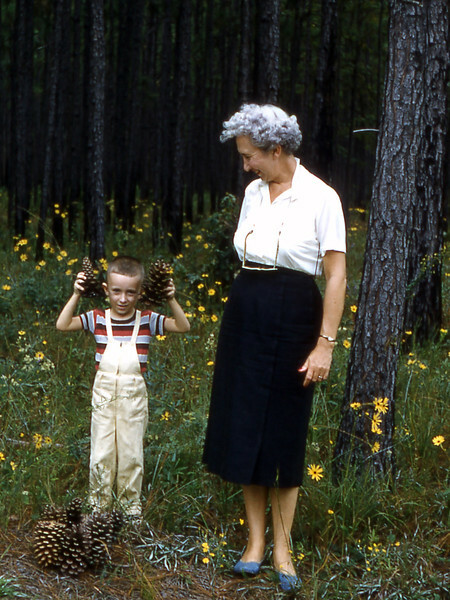 [BP] October '56, on the road outside of Charleston. Grace and Randy pose in front of some roadside flowers. 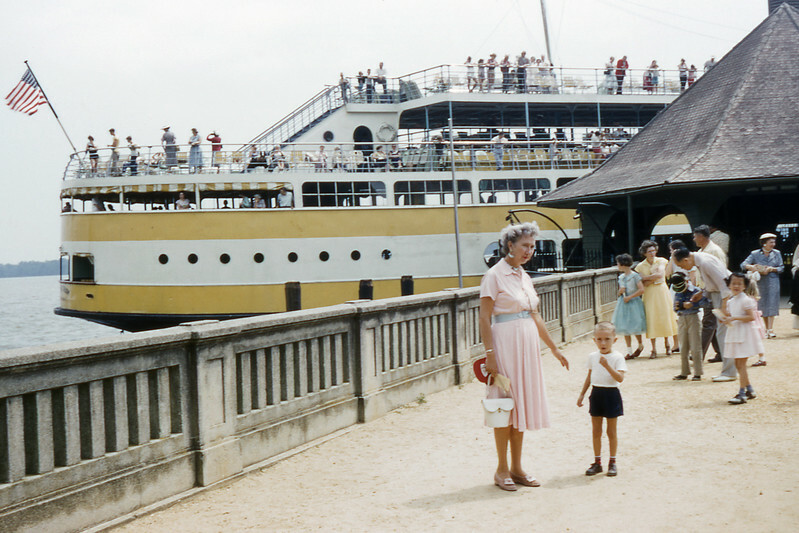 [BP] June '56, Washington D.C. Grace and Randy pose in front of the boat prior to a ride up the Potomac river. 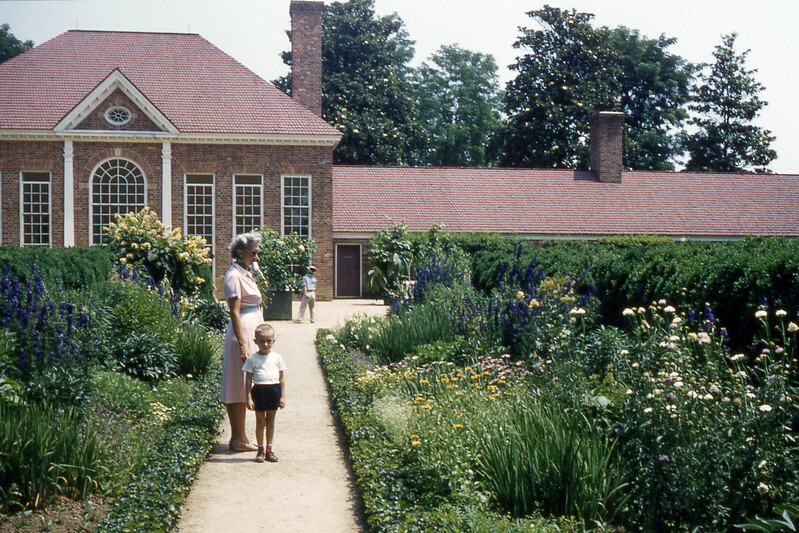 [BP] June '56, Mt Vernon Virginia. Grace and Randy in the rear flower garden. 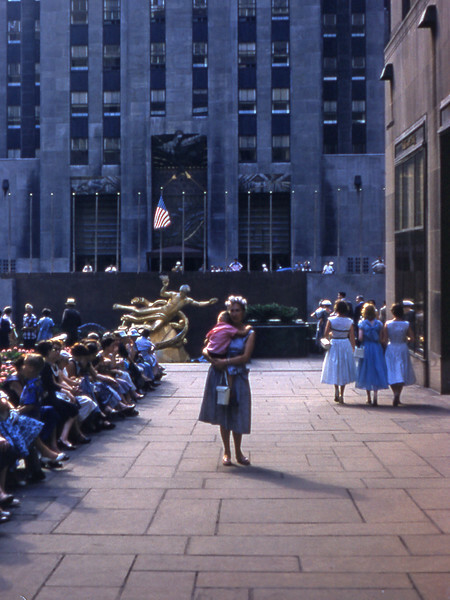 [BP] June '56, New York City. Grace and Randy on the sidewalk in front of Radio City. 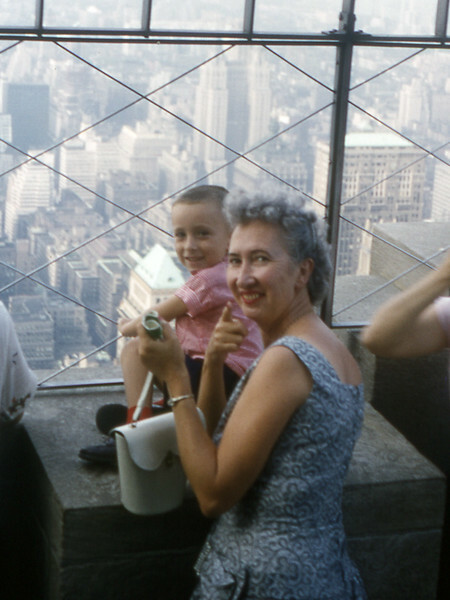 [BP] Grace and Randy on top of the Empire State Building. 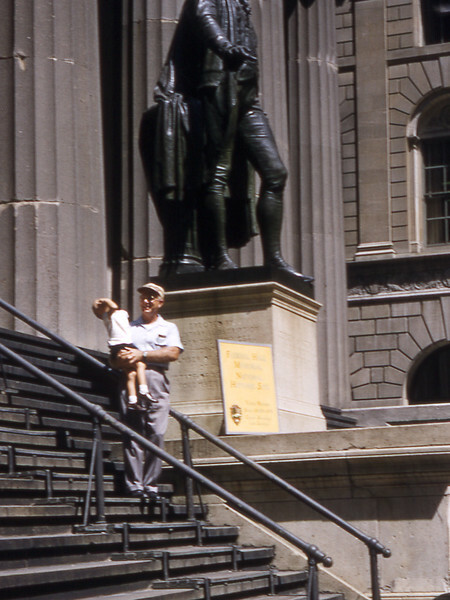 [BP] I pose with Randy on the steps of the Wall Street Stock Exchange. [BP] Grace and Randy pose just before getting on the bus to go back to Shreveport. 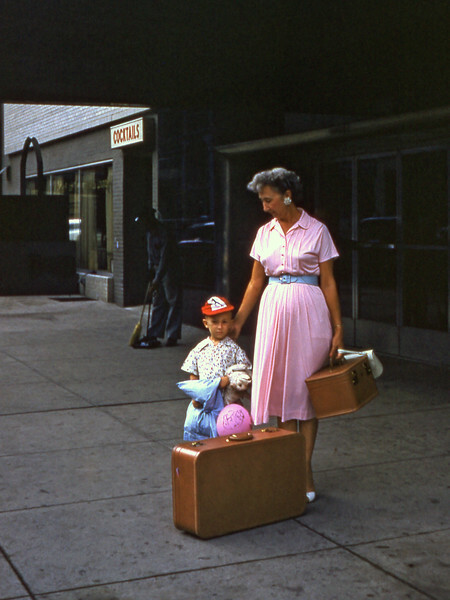 [BP] October '56, Selma AL. 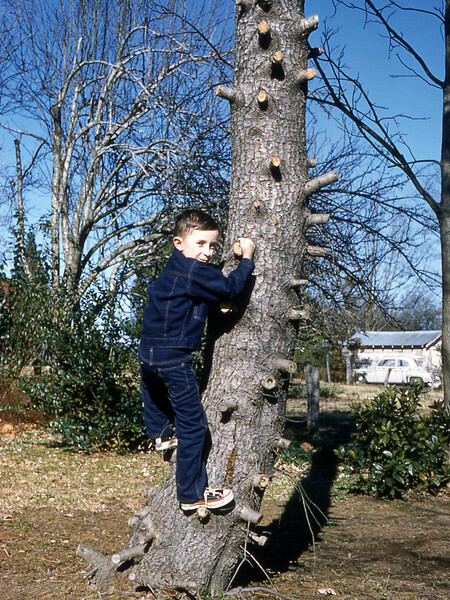 Randy climbs a tree in the back yard. 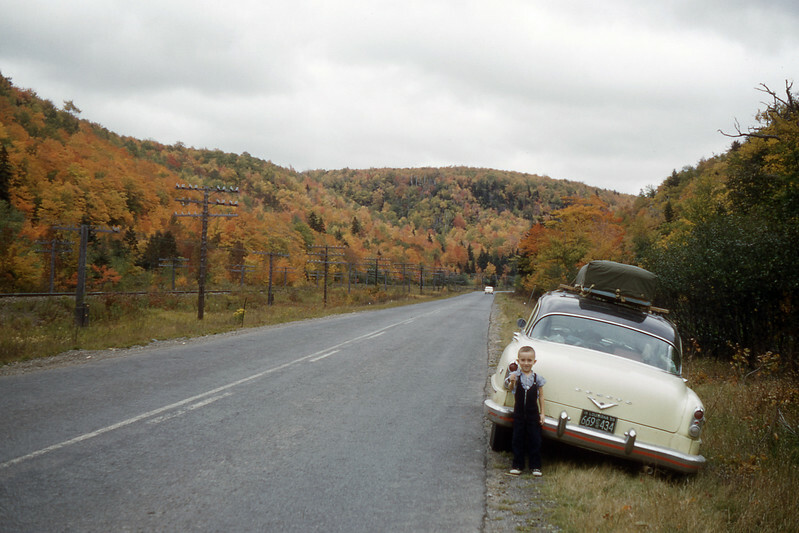 [BP] October '56, on the road in Connecticut. We stopped to get a shot of the trees and Randy gets into the picture. 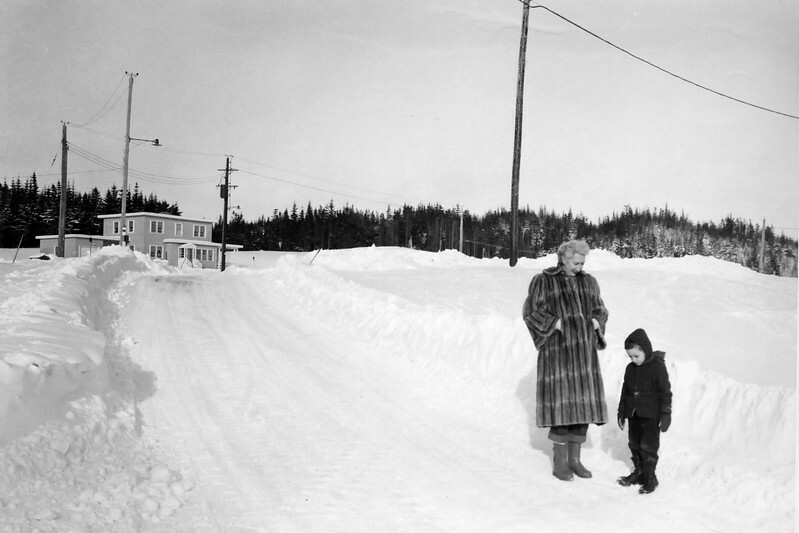 [BP] Nov '56, Newfoundland. I left Laredo in June and it was October before I got Grace up. The quarters here are not ours, but are similar. 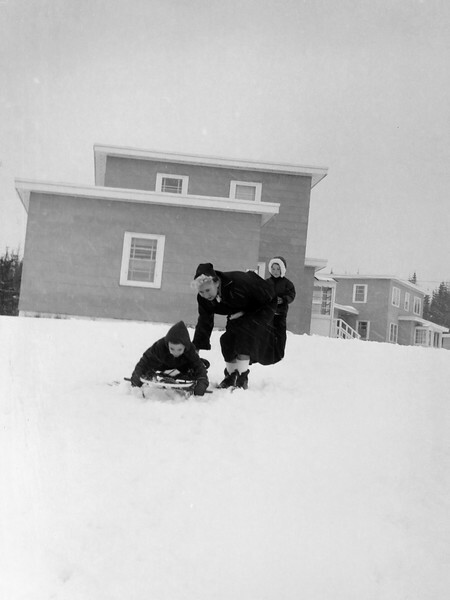 [BP] We got Randy a sled - and did he have fun! 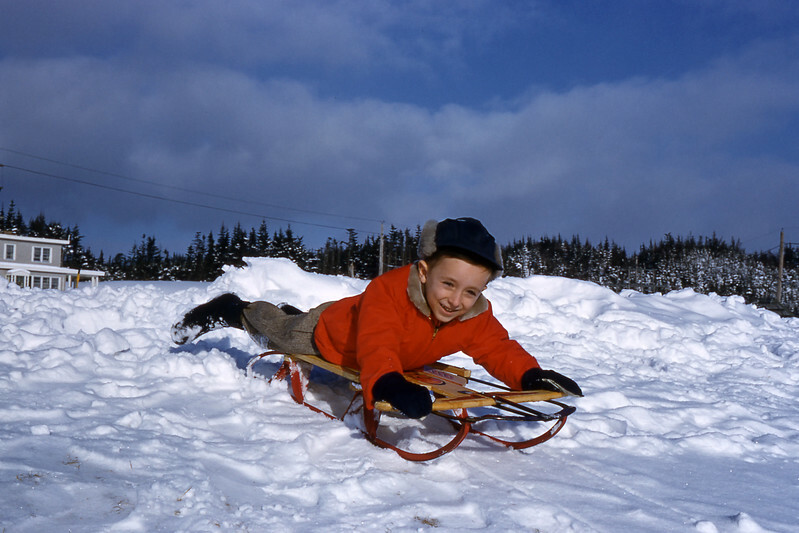 This hill was just across the street, so he spend a large part of the day sledding. Grace had fun too. [BP] December '56. Checking some of his gifts. He was airplane crazy. When he was learning to talk, he called airplanes "Humbus". [RP] I also have distinct memories of the truck, which looks like a high-quality toy. Unfortunately, I recall "fixing" it with a hammer. [BP] December '56. Grace and I were going to the Club. 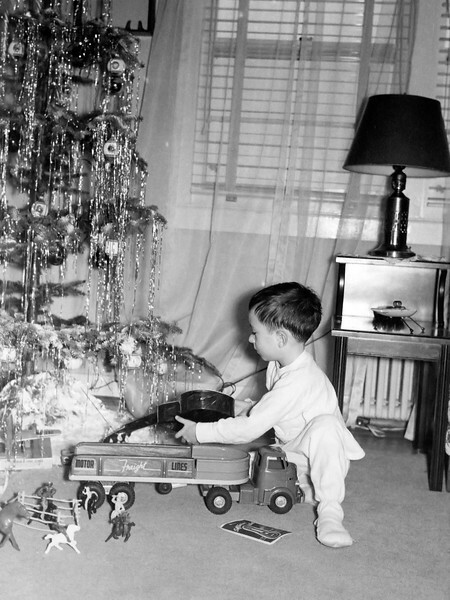 [BP] December '56. The Club gave a Christmas party for Children. 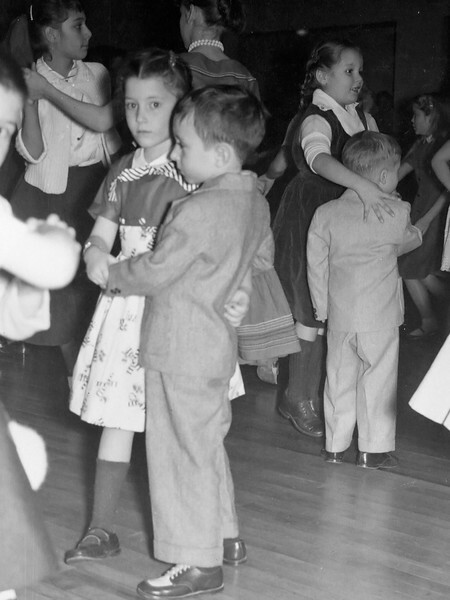 Naturally, Randy and Mary Ann Steubinger sat together and danced together. [BP] December '56. 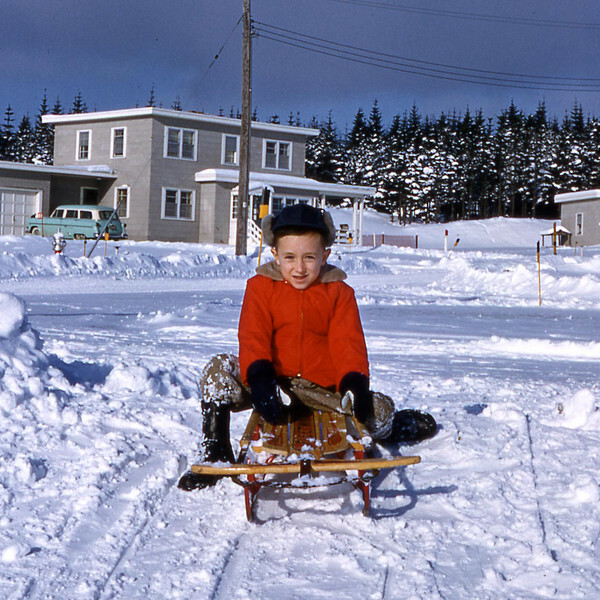 Randy getting ready to slide on his trusty sled. [RP] The fun I had on that thing formed some of my earliest distinct memories. The expression on my face shows how much fun I had. But I also experience how my hands would hurt after coming in from the cold. You can see our quarters in the background. [BP] Randy getting ready for another sled run. 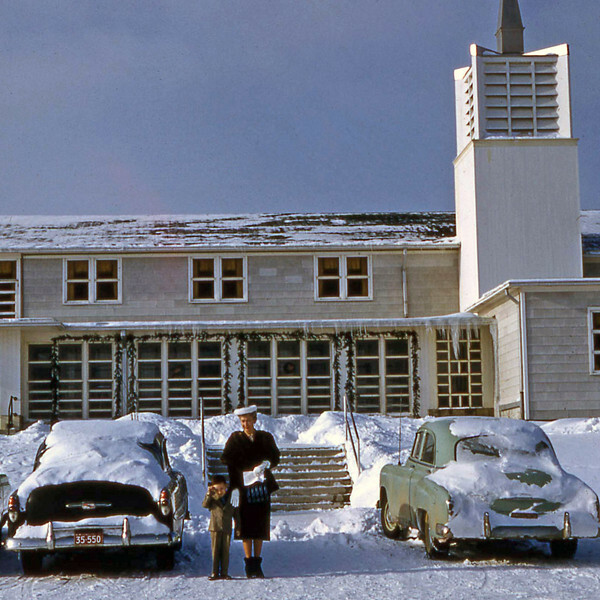 [BP] Grace and Randy outside of the Base Chapel waiting for me. 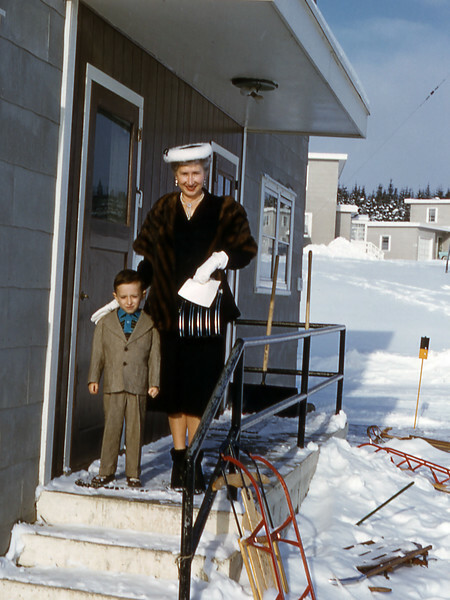 [BP] Grace and Randy going into the back door after coming from Chapel. 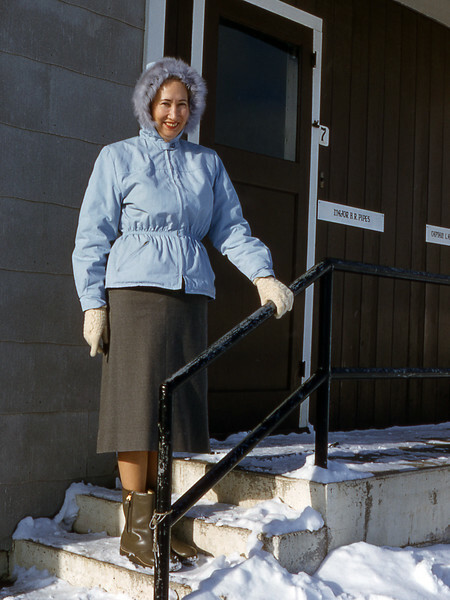 [BP] Grace posing on the front steps in her Eskimo jacket.